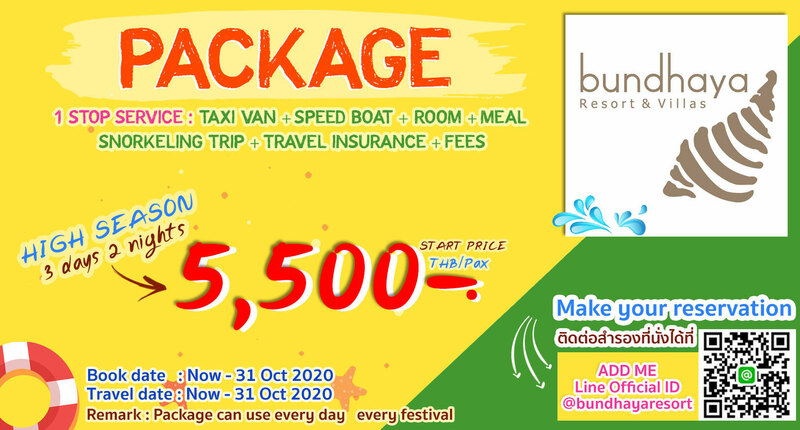 Selection of accommodation and warmly service from Bundhaya. 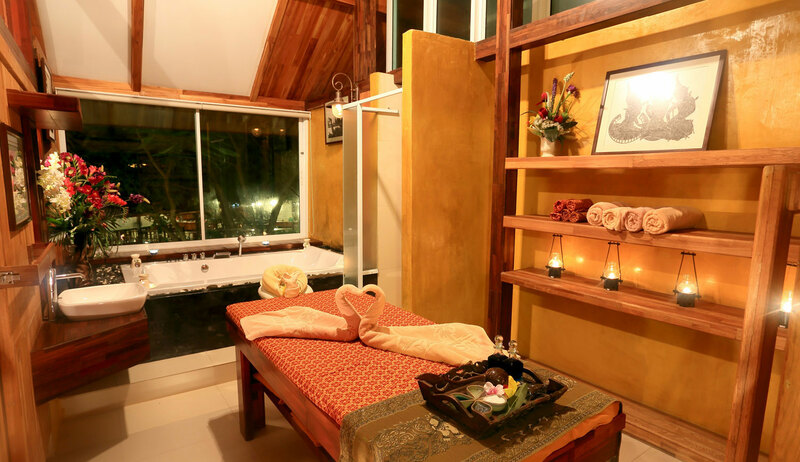 We will welcome you with a large selection of accommodation and warmly service from Bundhaya. 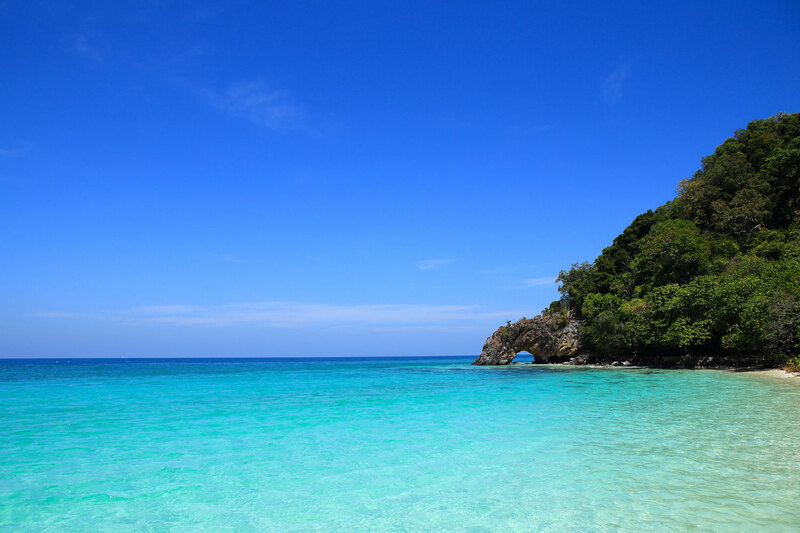 Come to place , close to nature with white & softest sand beach,crytal clear water and amazing underwater world. A stay such fantastic natural surrounding is a wonderful experience which you'll never forget spend. 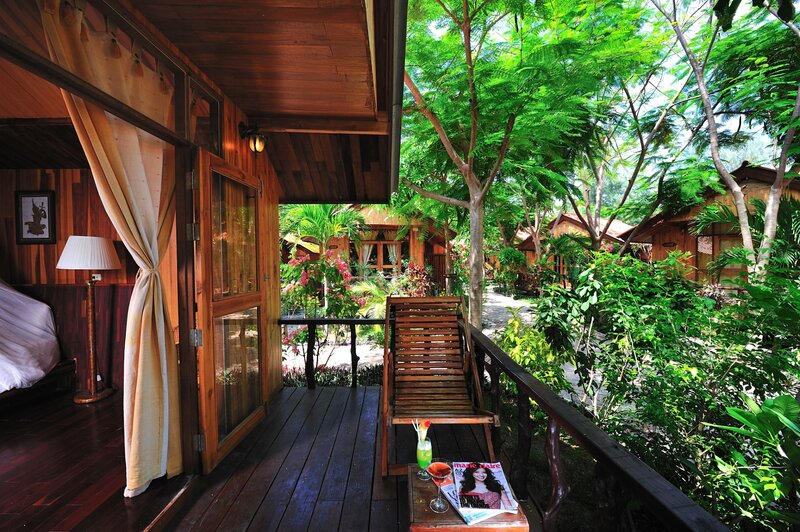 Bundhaya resort is a comforting resort situated on the Bundhaya Beach (Pattaya Beach), Lipe island. The Place which you would feel just like home with kindly service. Truly a haven of peace and tranquility. Experience the senses of the sand like powder and crystal clearwater, all can be for your dream holiday. Getting away from busy and hectic city life and be a part of the nature with us at Bundhaya resort. The room of Villa Deluxe Bungalow was originally the front of the room with 26 square meters and 10 square meters with private balcony overlooking the sea. 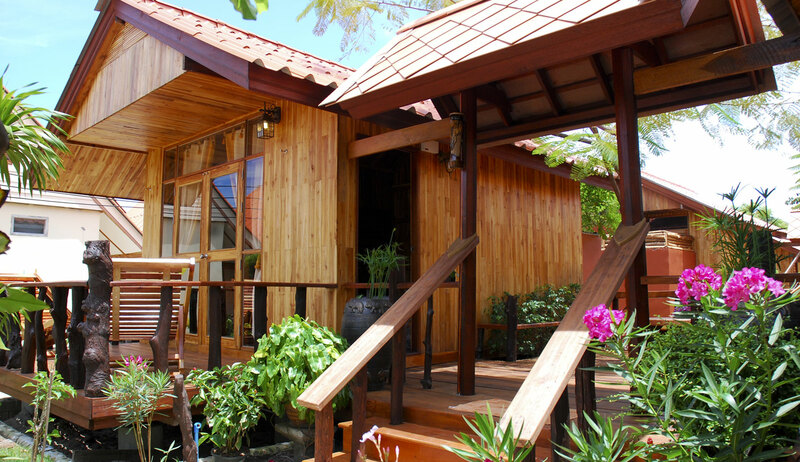 The room of Garden Deluxe Bungalow with 26 square meters and 10 square meters with private balcony with garden view. The room Deluxe Bungalow with 20 square meters and 7 square meters with private balcony .Our rooms decorated with natural wood with simple concepts.This room has private bathroom with en-suite. 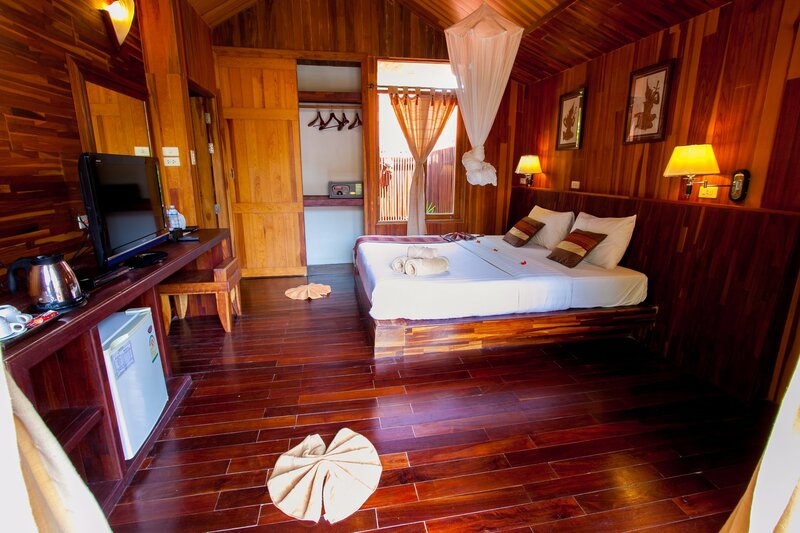 The room Deluxe Bungalow with 16 square meters and 7 square meters with private balcony .Our rooms decorated with natural wood with simple concepts.This room has private bathroom with en-suite. The room of Villa Family Bungalow was originally the front of the room with 2 connection bungalow and have sharing terrace 16 square meters. The room of Villa Family Bungalow was 2 connection bungalow and have sharing terrace 16 square meters .Each bungalow have area 26 square meters. 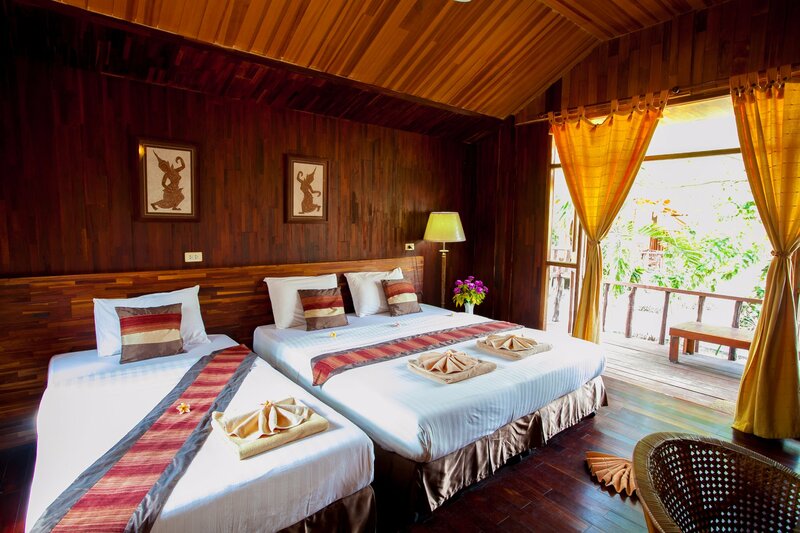 The room Family Bungalow with 22 square meters and 7 square meters with private balcony .Our rooms decorated with natural wood with simple concepts. 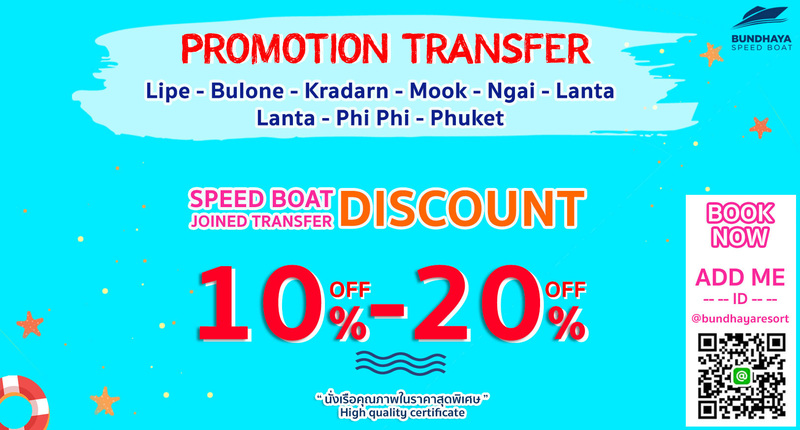 Speed boat ticket not include transfer from Speed Boat to Beach or Hotel are you Booking. Speed boat ticket not include Fee of Tarutao National Park Speed boat ticket can not refund in any case.In case customer need to change Booking can do before 3 days of departure date. Confirmation of booking the ticket is not used for travel. 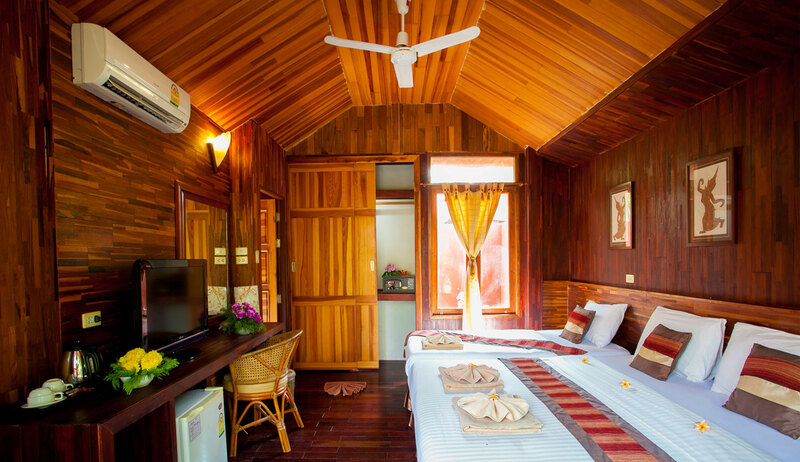 Bundhaya resort is located on the soft white sands and sparkling waters, Bundhaya villas on Koh Lipe invites you to live out your days on island time, where there is always time for another walk on the beach. Function: The resort can arrange your special day. Whether it's a birthday, Anniversary or private party. Experience the senses of the sand like powder and crystal clearwater, all can be for your dream holiday.